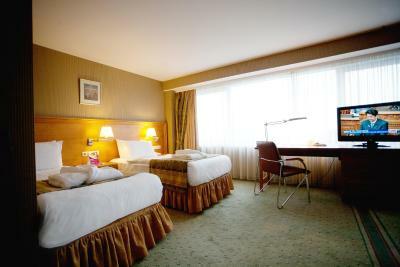 Lock in a great price for Crowne Plaza Vilnius – rated 8.4 by recent guests! The room was large and quiet, well furnished, it had big windows. The bathroom was modern, fresh and equipped with a tub. recreation area has dry sauna and two pools, it pleased me a lot. Breakfast buffet was very good. Excellent location (main city park 50 meters from the hotel), quiet location. Nice view from top floors. Very helpful staff. Nice breakfast. Close to city park (good running place). Big room. Everything was so perfect that we decided to stay one night longer. Special thanks go to Alma (if I read the badge correctly), whom I would call the nicest person I've ever met on reception desk. The view from the restaurant on the 16th floor is insane. The bartender was very patient and allowed us to stay almost 30 minutes longer after the closure. The room was big, clean and confortable. The restoran on the top of the hotel has a fantastic view. Staff , cleanness ,professional atmosphere , it is a luxury place. Nice city view. 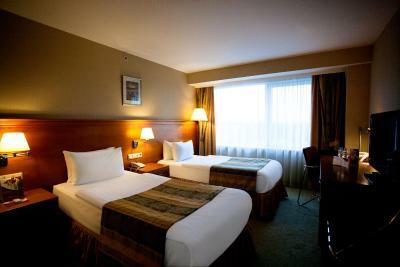 Deluxe rooms have beautiful view and large windows showing almost the whole city. Good breakfast choice. Location is fine, next to the park. Room was clean and spacious. 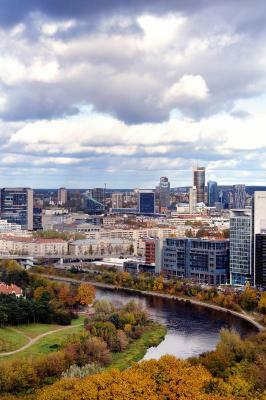 Crowne Plaza Vilnius This rating is a reflection of how the property compares to the industry standard when it comes to price, facilities and services available. It's based on a self-evaluation by the property. Use this rating to help choose your stay! 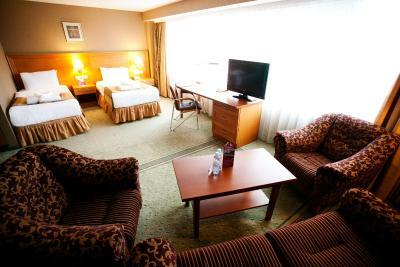 Centrally located 4+ stars Crowne Plaza Vilnius hotel is set between the business area of the city and the Old Town. Complimentary access to WiFi is available for all hotel guests. 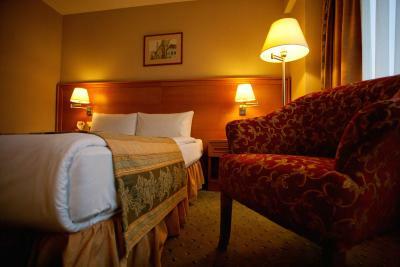 Rooms feature air conditioning, flat screen TV, safe, as well as tea and coffee-making facilities. Sleep Advantage program combines aroma therapy with other kits specially created for Crowne Plaza brand. Smoking rooms are available on request. Breakfast buffet is daily served in the restaurant Sezonai. Panoramic restaurant Horizontas offers a variety of A la carte dishes and open views of the city. Guests can enjoy healthy cocktails in lobby bar or summer terrace. Private car parking is available at hotel. Vilnius International Airport is 4.3 mi and International train and bus station 1.9 mi away from the hotel. Naujamiestis is a great choice for travelers interested in shopping, walking and old-town exploration. 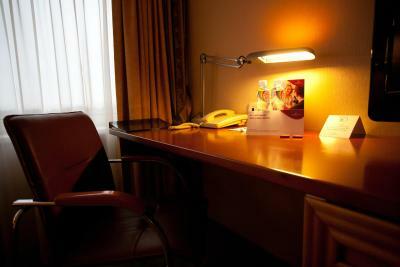 When would you like to stay at Crowne Plaza Vilnius? Decorated in light and warm colors the room offers private bathroom with bath and flat-screen TV with cable channels. Executive room features a bedroom and separate living area. All rooms have a river view or a view of the biggest public park - Vingis. Decorated in light and warm colors the room offers spectacular view of the town or of the biggest public park - Vingis. A cozy suite has a king bed in a separate bedroom and a living room with comfortable sitting area. Room has either city or park view. Decorated in light and warm colors room offers spectacular view of the town or of the biggest public park - Vingis. Executive room features sleeping room separated from the cozy living area. All rooms have a river view and view of the biggest public park - Vingis. This is a very spacious, air-conditioned room. At Crowne Plaza we focus on making your stay a success. Personalized attention and expert care you’ll receive 24/7. With connectivity that works, food that works, meetings that work, fitness that works Crowne Plaza Vilnius is designed to rest, work and restore. Hotel surroundings – This neighborhood is a great choice for travelers interested in shopping, walking and old-town exploration – Check location Great location - show map Guests loved walking around the neighborhood! House Rules Crowne Plaza Vilnius takes special requests – add in the next step! Crowne Plaza Vilnius accepts these cards and reserves the right to temporarily hold an amount prior to arrival. Didn't like breakfast. Maybe I wasn't lucky, cause there was some conference and lot of people the same time having breakfast. Poor choice. Liked private parking in the yard. The restaurant didn’t have enough personal to service the dinner during the event, lines for dinner with children doesn’t sound good. The food is delicious, and the hall for the chess event is perfect. The location is a bit remote. No sights in the close neighborhood. In case you choose it due to the SPA, consider other options. SPA area is in the basement, it is a bit outdated, much chemicals used in a pool and looks not attractive at all. Parking is free. The hotel seemed to be quite low occupied. Breakfast was fine, for additional cost you can oder different omelettes, smoothies and fresh juices. HORIZON restaurant didn't do well. Poor selection of beers, no beer from a tap at all. Paltus was not at expected level. Overall, left a feeling of being overpriced. Double bed room was the largest I have ever seen in this price range in Europe. Breakfast was okay and they did not bother if you arrived very last minute. Secured parking lot with the guard. The food at the panorama restaurant was exccelent and enjoyed all the courses. the view is amazing and deffinetly worth to visit again. 2km away from center, but taxi some 3eur. Old wall needs repair in spa zone, second sauna is not working. Breakfast, sauna and pool with jakuzzi, spray for sleeping, tea and coffee, condition. SPA zone capacity is rather amortized and need brash up. Everything was perfect only the room temperature was way too low. Room was clean and tidy, decor up to date, everyone from staff really helpful. Very clean, quiet and nice view from window.